I grip the handle tightly in borrowed mittens. Through thick ice fishing boots I feel my feet wobble on the tire-treads of the sled runners. Breathe. In and out. Ahead of me five dogs pull their lines taut and stare intently at our guide, Kyle’s, sled in front of us — they’re waiting for his signal. My friend Mary sits as a rider in Kyle’s sled. But me, I’m driving my own sled. I didn’t expect to be this nervous for Michigan dog sledding. But here I am, quite literally shaking in my (giant) boots. The long list of Kyle’s instructions swivel through my head: Feet on the tire treads. One foot on the drag pedal to slow. Stomp on the claw brake to stop. Keep the dog’s lines tight. And whatever you do, don’t let go if (when) you fall. I’m so intent on the directions that I miss the “go” signal — I’m torn from my mental studying by the instant pull of the dogs, the force ripping through the sled. All I can do is hold on and hope for the best. The dogs’ feet pound the snow and thick, fresh flakes blow by me. Up ahead: the sharp right turn Kyle warned me about. The sled is yanked around the corner and something happens: Bubbling up from my chest. I’m not sure what it is. 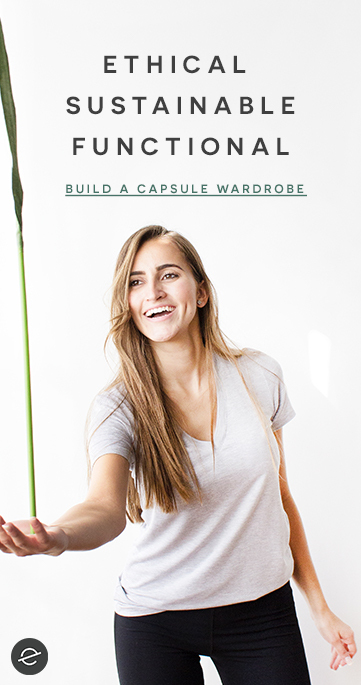 And then… I’m laughing. Audibly laughing as these dogs pull me through the Upper Peninsula woods, six feet of snow on either side of the trail. I actually cannot hold in the joy that is Michigan dog sledding with Nature’s Kennel. *We received our dog sledding trip courtesy of Nature’s Kennel, in exchange for an honest review. As always, all opinions are my own. Let me start from the beginning, though. When I moved back to Michigan from England a little over a year ago, I wanted to keep traveling as much as I could. I started looking into unique and world class travel experiences in Michigan. I had the thought… was Michigan dog sledding even a thing? 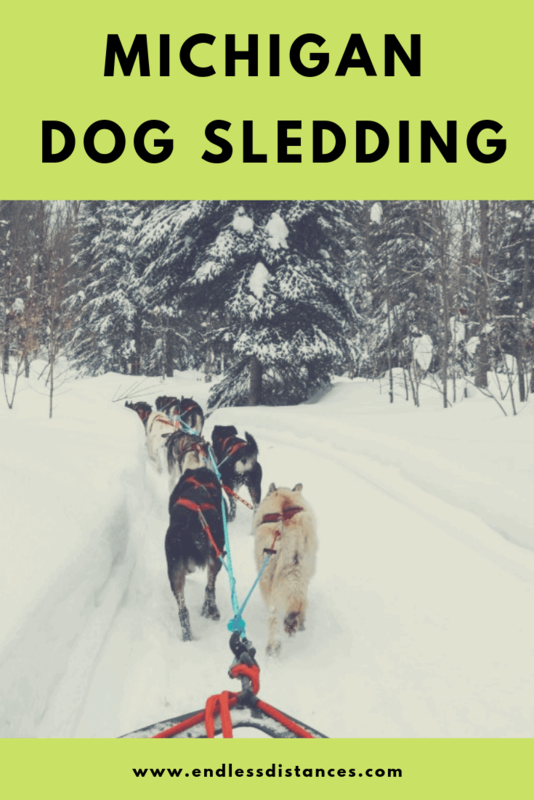 Many people have dog sledding on their bucket lists for an entire lifetime. 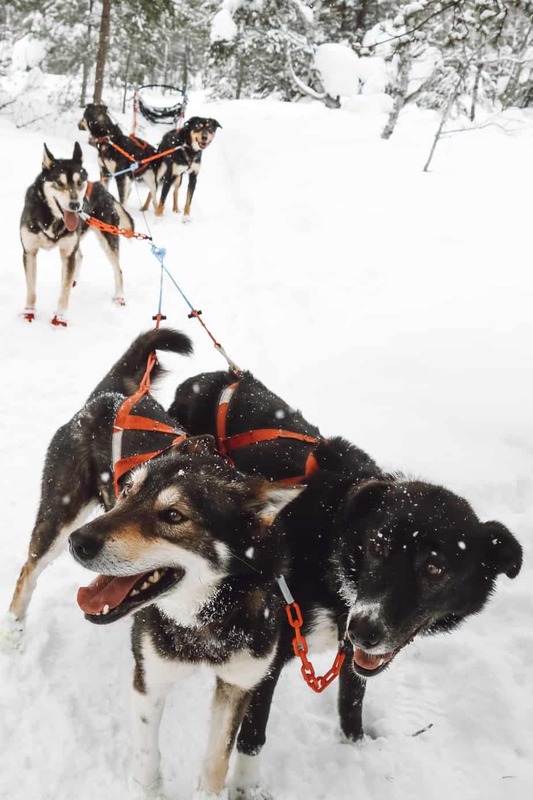 Dog sledding inspires trips to far flung destinations like Norway or Finland. But, knowing Michigan, I wondered…surely we get enough snow for dog sledding? So I began my search for Michigan dog sledding opportunities. 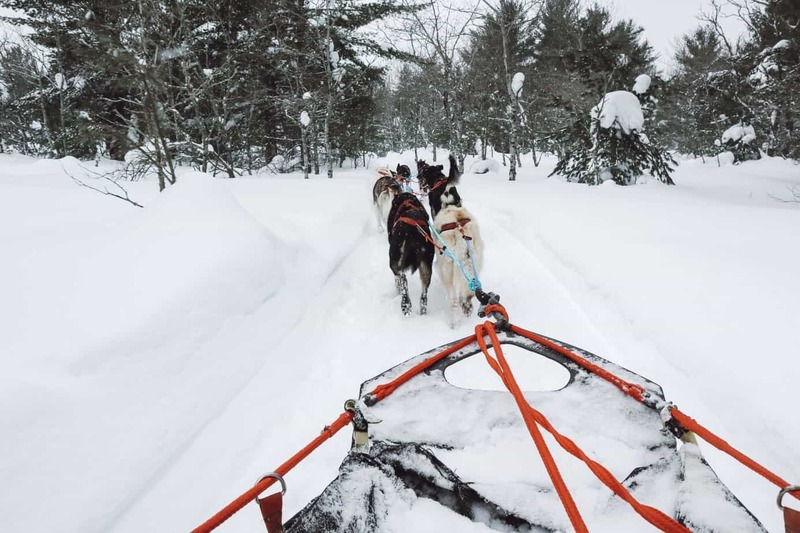 It turns out, one of the world’s most renowned dog sledding races, the UP 200, happens right in Michigan’s upper peninsula. The Michigan dog sledding scene is truly thriving up there. But what about tourists who want to dog sled in Michigan? 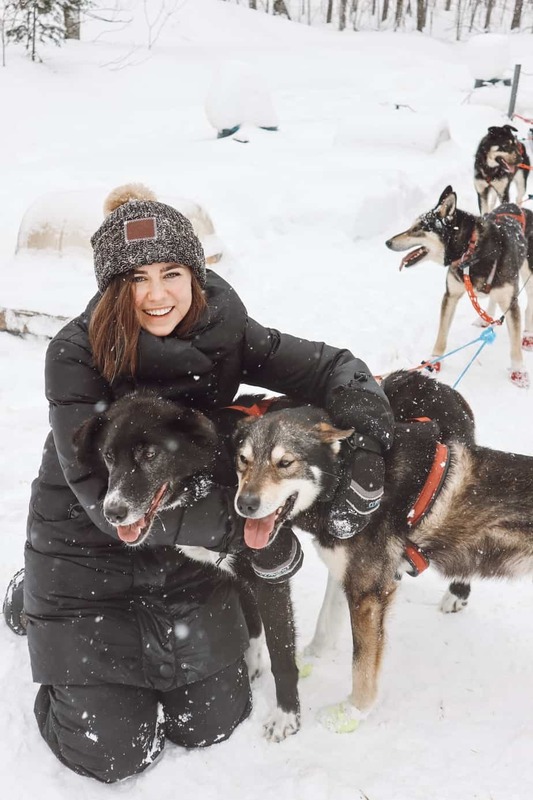 I did some digging and found a variety of kennels that offer Michigan dog sledding experiences to tourists. The dream was getting closer to a reality. But how to choose which company to go with? 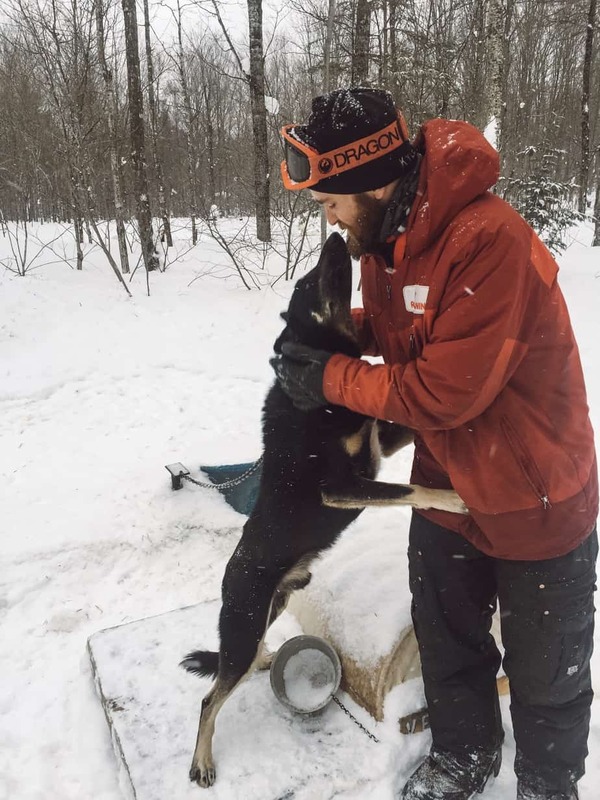 After some research into various aspects such as the ethics (more on that below), reputation, and more, it became clear that Nature’s Kennel is the premier destination for Michigan dog sledding. 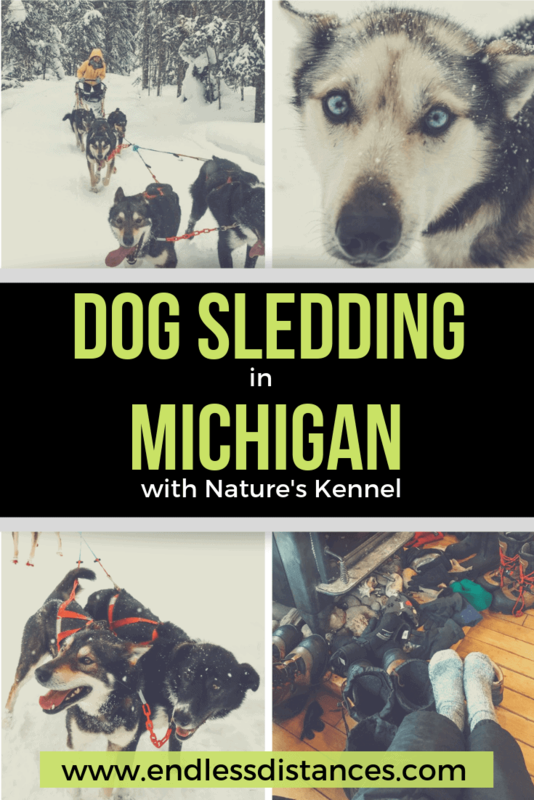 Why choose Nature’s Kennel for Michigan dog sledding? Nature’s Kennel is a dog sledding kennel, training center, and tourist destination in McMillan, Michigan in the upper peninsula. It has 25 years of experience in the business. It was founded by Ed Sielstra, who has raced in the Iditarod eight times. Now, Nature’s Kennel is co-owned by Ed Sielstra, Tasha Sielstra (who is married to Ed and has won the UP 200! ), and Laura Neese (a current professional dog sledder who placed 3rd in last year’s Yukon Quest). 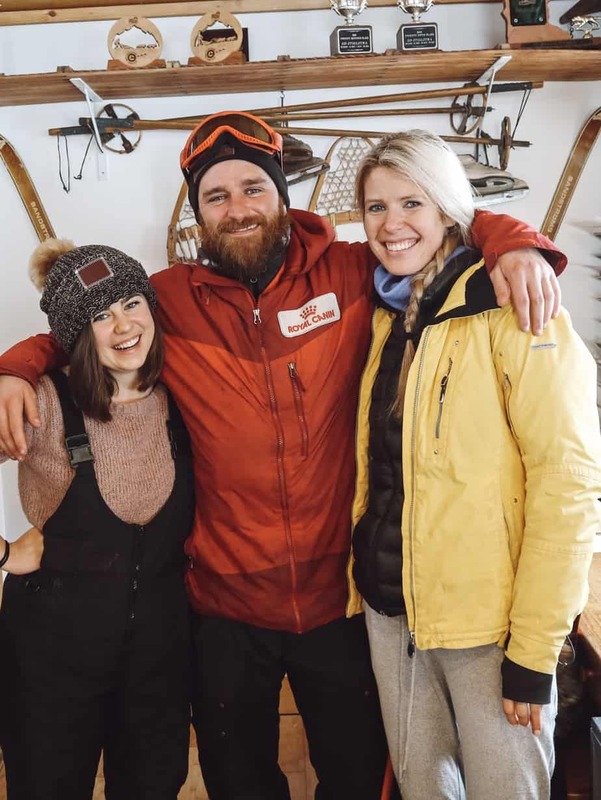 Alongside their obvious passion for professional dog sledding, Tasha, Ed, and Laura have also made Nature’s Kennel the ideal destination for tourists. 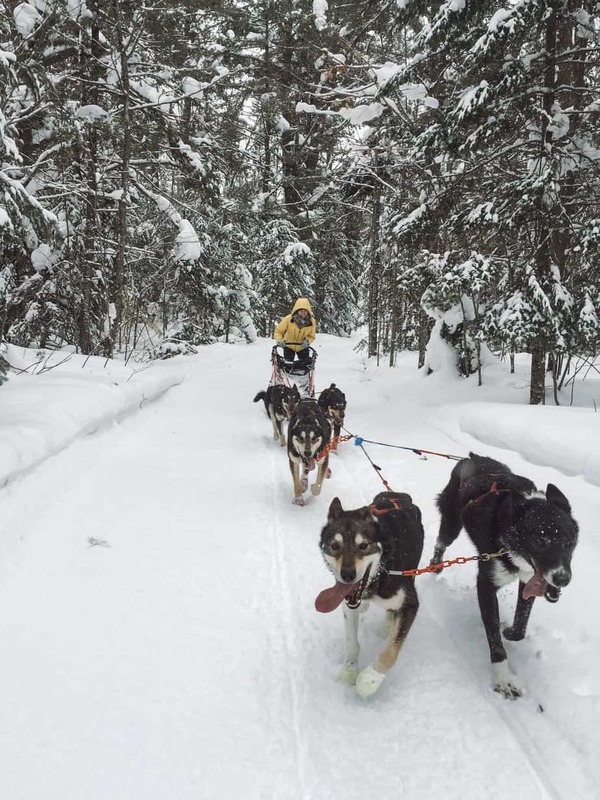 It offers a variety of dog sledding experiences, such as the 10-mile trail, 20-mile trail, or an overnight adventure. Travelers also have the option to be a rider (sitting in the sled that your guide drives) or diver of their own sled. 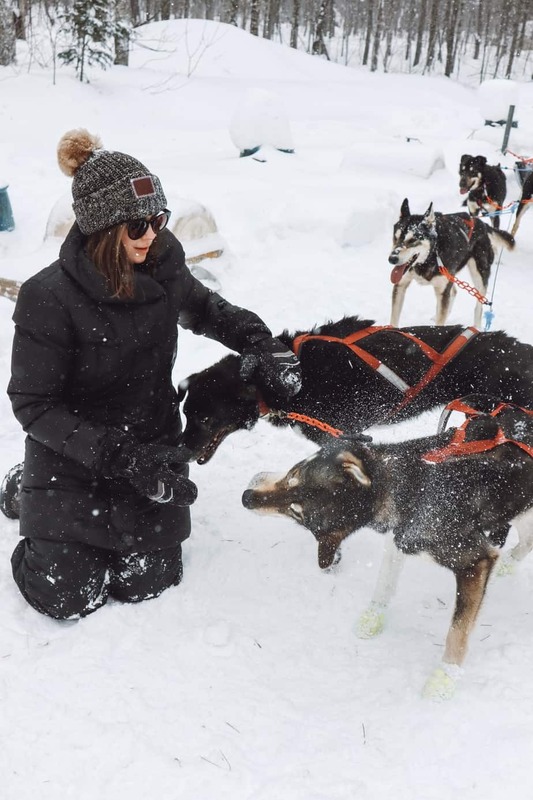 The Kennel also runs some specialized experiences such as a winter photography tour, racing your own team in “fun runs,” a summer camp for kids, and more. You can read more on their website and keep updated through their Facebook page which they post to regularly. There is honestly so much to say about this incredible experience. If you’re like me, you’ve never done anything like dog sledding before and you have lots of questions. Below I’ll discuss important things to consider such as planning for weather, how to get to this remote location, where to stay, what to pack, the ethics, and the actual dog sledding experience! Mary and I had planned to visit Nature’s Kennel for a 10-mile dog sledding trip in February. Leading up to our trip, I emailed Tasha. “What if there’s not enough snow? Will the trip still be a go?” I asked. I could almost feel Tasha laughing at my question in her reply: “The trip is a go. We have plenty of snow!” In my defense, I am from Michigan’s lower peninsula, and although we get our fair share, we’re snow novices compared to the upper peninsula folks. The day of our dog sledding, a polar vortex decided to roll into town. The streets froze over, Mary got stranded in Chicago, and I had to cancel our trip, just hoping we could reschedule. It wasn’t until that moment I realized how much I’d been dreaming of dog sledding: In a dismal winter I had been looking forward to it so much. Luckily, we could reschedule. So in March, Mary and I tried again to make our trek up to the UP! My point here is, 1) Michigan weather is fickle and you should plan in a few extra travel days to accommodate for that, 2) Nature’s Kennel is run by wonderful and accommodating people, and 3) A dog sledding adventure will give you something bright in a long, dark winter! My advice is to schedule your trip with a few days’ leeway (such as a Friday-Monday, with dog sledding scheduled for Sunday). January and February are guaranteed to have snow. This year the snow is so thick they’ll be running tours throughout April, and there may even be snow on the ground into June. Check with Nature’s Kennel before planning your trip to confirm. The upper peninsula’s greatest asset is also its biggest downfall for travelers: It is very, very remote. The easiest way to get to Nature’s Kennel (and the upper peninsula in general) is by driving. You can either enter through Wisconsin, or by crossing the Mackinac Bridge from Michigan’s lower peninsula. If you are coming from further afield, you’ll have to fly, and then rent a car. The closest international airport is Detroit, which is about 6 hours away. 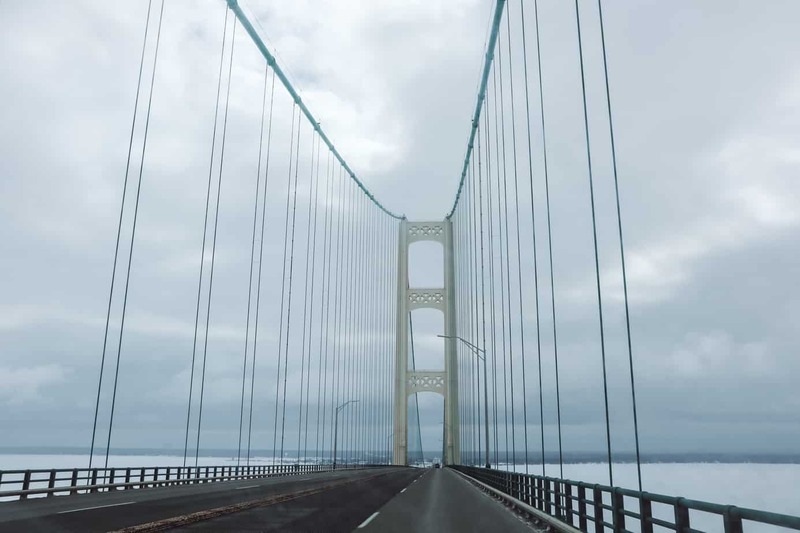 You can also get a connecting flight into Traverse City, Michigan, in the lower peninsula, or upper peninsula airports such as Pellstone, Marquette, or Escanaba. Check Skyscanner for your cheapest flight option. Driving across the Mackinac Bridge is gorgeous and well worth the drive for this view! Chances are, you’ll need local lodging for at least one night before or after your Michigan dog sledding adventure. Mary and I chose to stay at Chamberlin’s Ole Forest Inn and I would 100% recommend it. The Inn is also a restaurant and has the perfect old fashioned upper peninsula vibes. We had a cute corner room and breakfast included in our stay. It is affordable (we stayed on a special for $60/night), and is only 30-40 minutes from Nature’s Kennel. They also have a working relationship with Nature’s Kennel and often offer dog sledding packages. Check for best prices here. 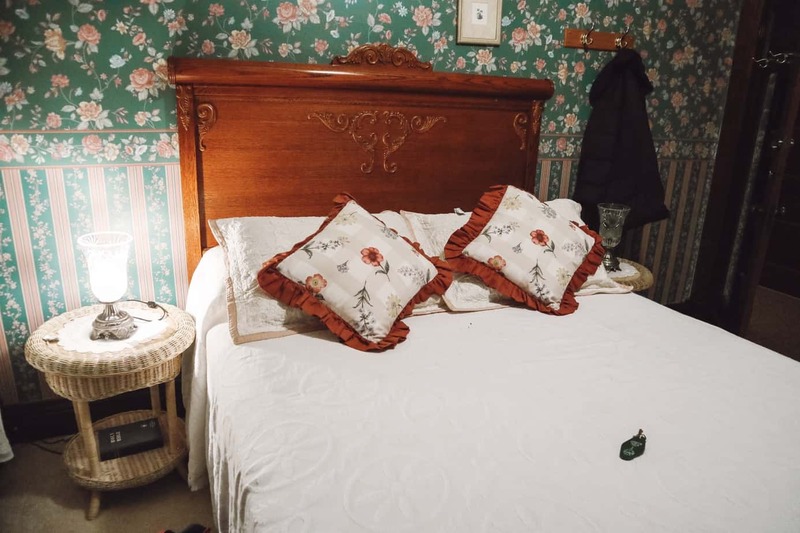 Other nearby lodging to investigate include Quality Inn, Halfway Lake Resort, and Sandtown Farmhouse Bed and Breakfast. Just look at those ice fishing boots! How do I describe Michigan dog sledding with Nature’s Kennel? Magical, exhilarating, joyful… I could go on. We arrived for our 9am tour (a little bit late, thanks to upper peninsula snow! ), and quickly were welcomed into Nature’s Kennel. 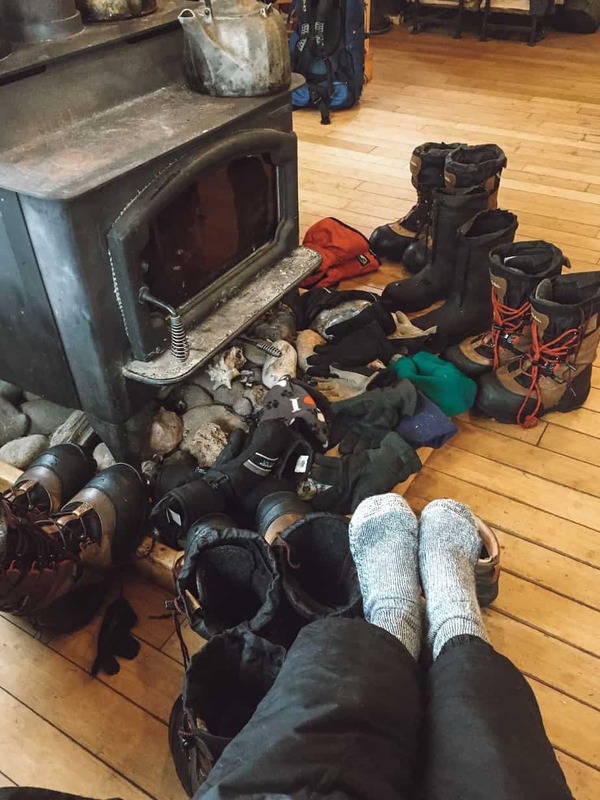 We were introduced to our guide, Kyle, and kitted up with snow boots, snow pants, and mittens. Then, we made our way out to the kennel. The dogs are organized in rows, and each staff member has two rows of dogs. Kyle took us to his row and chatted to us about dog sledding, and introduced his dogs. While Kyle prepared some gear, Mary and I went down the rows of dogs patting and playing with them. Really, I expected sled dogs to be like “work dogs” and very focused on their jobs. But, nope! These are just normal pups that love to be pet. Then, we helped Kyle harness the dogs up and attach them to the sleds. Kyle gave us directions on how to drive the sled, as Mary and I would be switching off halfway through and each have an opportunity to drive. And then… we were off! The 10-mile ride is the shortest and takes 1-2 hours depending on conditions. The snow was very thick on the day of our tour, so it took about 1.5 hours to finish the trail. But during the trip? I truly lost track of time, I was so living in the moment. As worried as I was about remembering all the driving instructions, I want to alleviate any of your fears. Once the dogs start running, it all comes very naturally. I would really encourage anyone to try driving their own sled – even if you are afraid to! Chances are, you are more capable than you think you are. Plus, Nature’s Kennel is very accommodating. A few weeks ago, they helped someone who is blind live his dream of driving his own dog sledding team. So if you are up for the challenge, I say go for it! Halfway through the 10-mile loop, there was a brief time for photos. 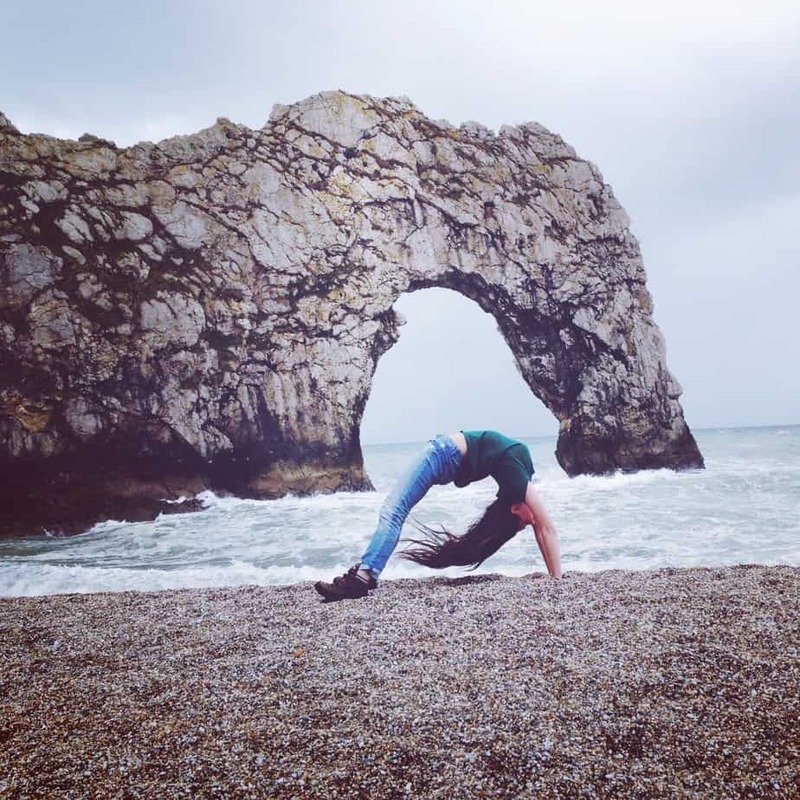 Plus, I got confident enough with my balance to take a few photos during the trip. Before we finish, I need to address this really important topic. As you all know, I strive to travel sustainably and ethically, whether this is in my accommodation choice or tour options. I think this is more important than ever when choosing animal-related travel experiences. I know some people think there is no ethical way to have animal interactions during travel, and to that I say… to each their own. Personally, it was important for me to ensure that Nature’s Kennel had ethical practices before I could support their business. 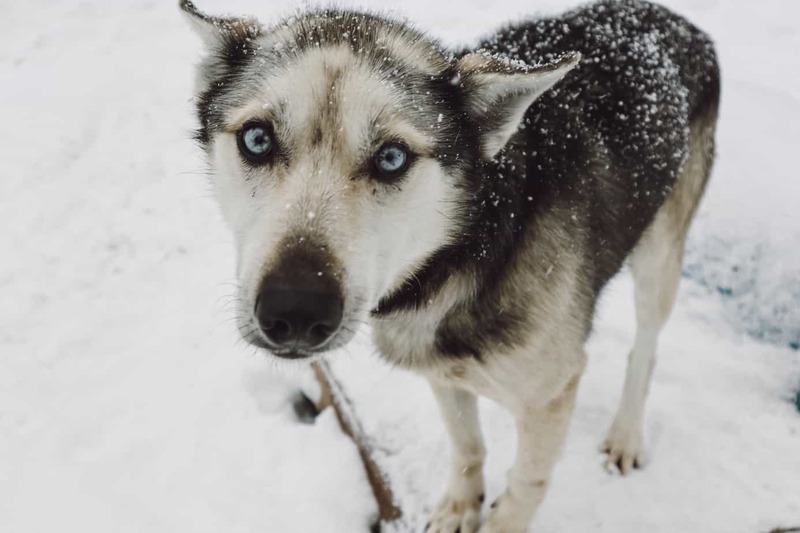 In fact, the lengths they go to for their dogs’ welfare was the main reason I chose them over other Michigan dog sledding companies. These dogs are made to run and LOVE to run. 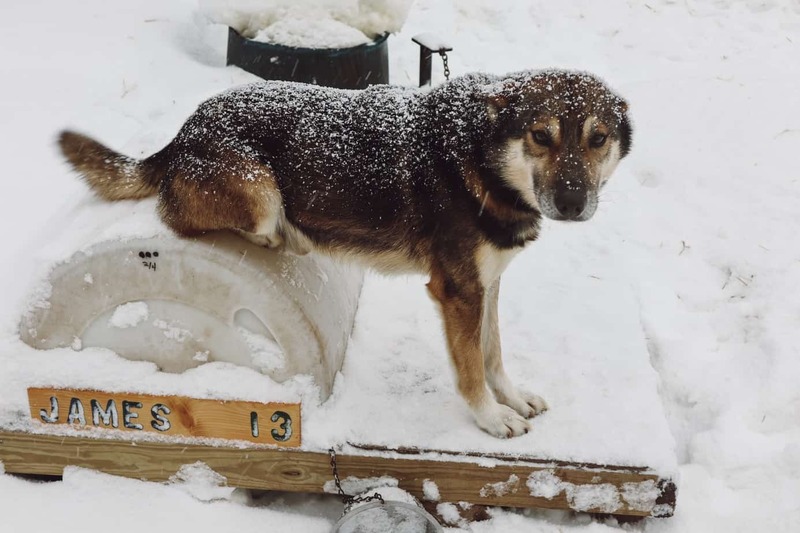 They are not forced to pull the sled – this is their greatest joy. What would be much worse is keeping this type of dog in an environment where they cannot get the exercise they need and deserve. The dogs live outside with their own personal barrel kennels. Due to the dogs’ fur, their bodies’ ideal conditions actually range from -40F to -20F. Their metabolisms are extremely efficient and their fur is insulating. The actual concern here is not winter habitat, but summer. During the summer, Nature’s Kennel cool the dogs off strategically with hoses, let them run free through the woods, and do not have tours. When? Winter months, ranging November – April depending on conditions. Contact 906-748-0513 or email info@natureskennel.com for more information. Where to stay? Chamberlin’s Ole Forest Inn. Check TripAdvisor best prices and other local lodging. How much? Price varies based on day of the week, what trip type, rider/driver, and other factors. Check costs here. Mary & I with our guide Kyle! Dog sledding with Nature’s Kennel was the absolute highlight of my winter. Mary and I drove 8+ hours for this experience and would do it again in a heartbeat. It is undoubtedly one of the most magical travel experiences in the state of Michigan. If you can’t tell… I highly recommend Nature’s Kennel for a once-in-a-lifetime bucket list adventure! *This post contains affiliate links. If you click on a link I may make a small commission at no extra cost to you. Thank you for supporting Endless Distances! 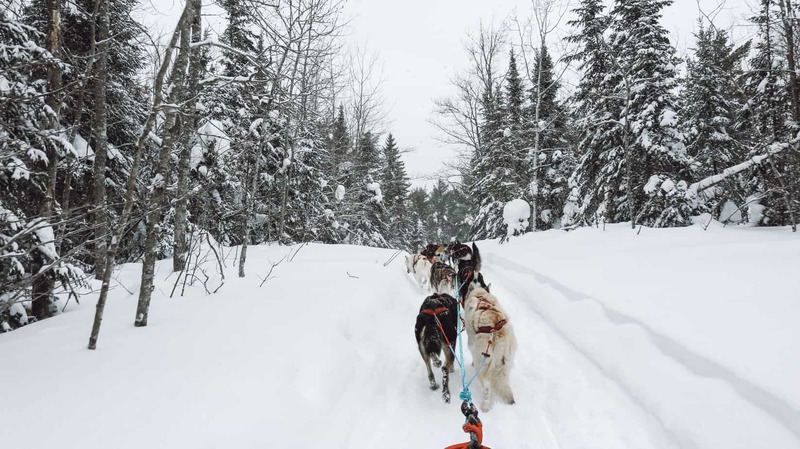 *We received our 10-mile dog sledding trip courtesy of Nature’s Kennel as a press trip, in exchange for an honest review. I reached out to Nature’s Kennel because I wanted to share this magical Michigan adventure with all of you. So as always, all opinions are my own.